My Top Apps "Honorable Mentions"
Jun 29 My Top Apps "Honorable Mentions"
I hope that everyone has enjoyed this weeks little series on my favorite apps! I would love to know what you all thought! Let me know if you know of any apps that I don't know about and maybe I can do another series or put up a blog about it! Anyway I wanted to take this blog post to present to my readers some other apps that I really love but just didn't quite make the list of top five apps. The first honorable mention is the "ESV Bible App"! The reason that I wanted to mention this app is mainly because I love the ESV translation. I don't really read from any other translation because I think that this is the best english translation of the bible! It is a word for word translation that is very true to the original Greek and Hebrew. It is also a little newer than the NKJV or the NASB so it is a little easier to follow. Another reason I wanted to add this app is that I think it is a really well developed app that is easy to use compared to other bible apps. The next app to make the honorable mentions is the "AED App"
The third honorable mention is the "Google Translate" app! Obviously this is no substitute for actually learning a language but it is very helpful when I am doing my spanish homework and I have no idea what a verb means. Fast, easy to use, and relatively accurate it is a very handy app! 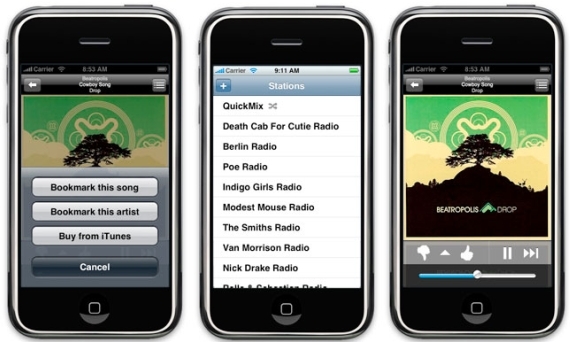 The last honorable mention is the "Pandora Radio" app! The only reason this app didn't make it into "My Top Five" is because I assume that everyone already knows how awesome Pandora is! I love it and use it often. The classical stations are one of my favorite study buddies! How I showed you an app that you didn't know about! Jun 29 "It Has To Follow You"
Jun 29 My Top Apps #1"Camera+"